We don’t mean to toot our own horn but when it comes to your Glen Ellyn remodeling contractor project there simply is no better name to trust in than Best Home Renovations. And that’s not just our word, it comes from Remodeling Contractor customers who have honored us with this title year after year since all the way back in 1997 when we started. Our hard work, commitment to customer satisfaction and unbeatable pricing are just part of how we earned the honor. When we work with someone for their home renovation projects we first find out what their goals are. For bathroom renovations it is often about updating, upgrading and finally making this a tranquil room to relax in at the end of the day. The good news is that we can help make that happen. From there we help you understand your numerous options – those which reflect your personality, style and unique taste. And then we assist you in making the smartest choices based on your likes but also your budget. You can’t earn as much repeat and referral business as we do without taking extremely good care of the customers. Another popular request we get a lot of at Best Home Renovations is for our Glen Ellyn kitchen remodeling. The kitchen is an important room in the home for cooking, family meetings and making memories. Anyone who does a lot of cooking or baking knows just how true this is. But not all kitchens are designed to be functional. And that is where we come into the picture. If you are tired of settling for a kitchen that looks nice but is far from user-friendly, let us help change that. Or maybe the problem is the opposite. Maybe it does work well but still looks as outdated as your high school prom dress does now. Let our crew show you the miracles we can work to create a transformation. For any of your projects we can get that done for you. From your Glen Ellyn kitchen remodeling, bathroom remodeling or basement finishing and everything in between, let us help you make that happen. 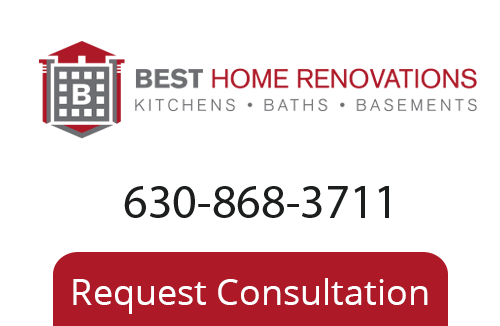 To learn more about our Glen Ellyn Remodeling Company please call 630-868-3711, or fill out our online request form.